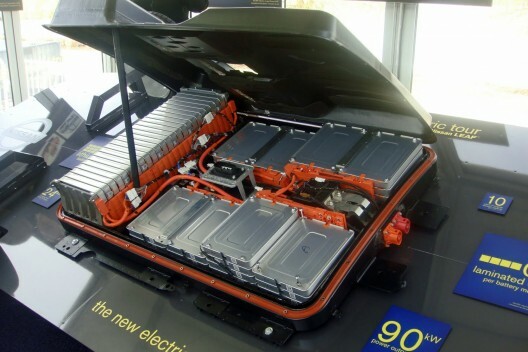 Blog Batteries, Fuel Cells – or Something Else? We’re coming to a parting of the ways in energy storage development for electric cars. Or we may be coming to a joining of technologies in new and previously unimagined ways. One side, led by Elon Musk and his Tesla Empire, promotes battery power and development. Yet, in Tesla’s home state of California, government and private investments in hydrogen vehicles is growing. Several Asian and European automakers are bringing out fuel cell powered vehicles in the face of low numbers of existing fueling stations. For all the promotion from either side, future “green” cars may become too expensive for private ownership, and various approaches to providing personal mobility may replace the traditional owner-driver model. Regardless of the outcomes or market shares, the technology will be applicable to personal aviation, although perhaps at a significant price. The article lists the different types of plug-in electric vehicles (PEVs) available and speculates that the wide range of technologies helps explain their rapid acceptance. Plug-in Hybrid Electric Vehicles (PHEVs – i.e. Ford Fusion); similar to HEVs, but with bigger batteries and the ability to store electricity from plugging into an outlet. Extended Range Electric Vehicles (EREVs – i.e. Chevy Volt); similar to PHEVs, with increased electric range. “Large Battery BEV” (Tesla Model S); BEVs with range similar to gasoline vehicles. Competitors such as A123 in America, Kokam in South Korea, Panasonic and Toshiba in Japan, and a multiplicity of European and Asian manufacturers produce enormous numbers of pouch and cylindrical cells for everything from laptops and cell phones to buses and trucks. Batteries, because of their high count in electric vehicles, command interest for large-scale mass production, exactly where Elon Musk is directing his energies. Between Superchargers being installed nationwide by Tesla, strategically-placed chargers installed on state and federal highways, and thousands showing up in parking lots throughout urban areas, locating a place to “fill up” is getting to be less anxiety provoking for battery-driven EV owners. Home chargers are dropping to as low at $395. Aside from the 20-minute full charge a Tesla Supercharger makes possible, “topping up” ones batteries is still time consuming for most cars – fine with a home charger, or one in the boss’s parking garage, but less desirable on long trips. 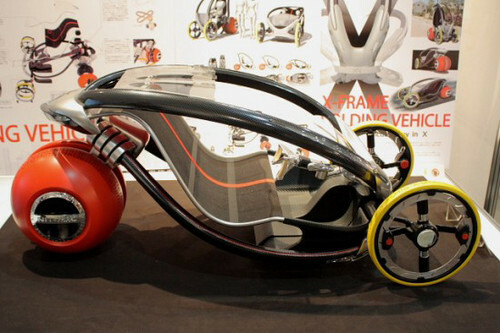 Others are banking on hydrogen as the fuel of the future, using fuel cells to power the motors in their electric cars. With fuel cell cars coming from Toyota, Honda and Hyundai, the Calfornia Energy Commission is pressing ahead to open new H2 fueling stations in the state by 2015. Using $27.2 million in CEC grants and $7.2 million from Toyota, FirstElement Fuel will build 19 of these, another nine will come from grants to other proposals, and other stations are either already in place or being planned by automotive or fuel companies. H2 advocates say their vehicles can go 400 miles between fill-ups – much like modern gasoline vehicles. Tesla claims 265 miles between charging stops, and Leafs generally manage about100 miles on a “full” battery. Others are limited to being city cars because of even lower range. Even quadrupling the number of hydrogen refueling stations will limit fuel cell cars to Bay Area and SoCal locations for the time being. One wonders how many stations exist in the area where Hyundai is releasing its first fuel cell vehicles. Toyota’s FCV, destined for sales initially in California, will still be stretching its 300-mile range to make it from LA to San Francisco. Developers will need to work hard to even come close to the 13,500 gasoline stations that dot the landscape in the state. Toyota’s National Manager of Advanced Technologies Craig Scott says that although fuel cell cars have been practical options for years, the infrastructure doesn’t yet exist to support their common use. According to Techcrunch.com, “The simultaneous expansion of hydrogen infrastructure and the release of cars that can take advantage of them from Toyota, Honda and Hyundai in 2015 will have accelerating effects on the industry overall. Because of the availability of stations, Toyota is now able to move their hydrogen platform into mass production, which brings significant cost savings as the company can start bringing in parts from its other powertrains and build fewer parts “by hand” in limited quantities.” The FCV’s price of $65,000 puts it solidly in Lexus/Audi/Porsche territory, and may prevent broader acceptance even as Tesla brings out its projected $35,000 Model III. Joel Ewanick, FirstElement’s CEO, thinks costs for new H2 stations will drop by up to 50 percent over the next decade, and that those stations will be profitable within five years. He claims that 33 percent of hydrogen at his stations in southern California will come from renewable biogas, a mandated minimum required by the state. 35 percent of H2 in northern California will come from similar renewable energy, a necessary condition to make such fuels truly clean. By comparison, electricity used to charge competitors in the Green Flight Challenge came from geothermal sites in Geyserville, making GFC competitors truly green aircraft. Donald Sadoway, Professor of Materials Chemistry at the Massachusetts Institute of Technology (MIT), thinks neither battery nor hydrogen cars are ready for prime time, but he reserves the greater criticism for fuel cells, citing their expense, the use of high-priced platinum, questions of safety, and lack of infrastructure. Elon Musk and Renault-Nissan’s Carlos Ghosn both back batteries and downplay fuel cells. So why are other demonstrably smart players in the market backing hydrogen and investing huge amounts on a very big bet? Alternatives come in the form of the BMW i3, which offers an optional “range extender” to supplement the car’s on-board batteries. Like a hybrid, the small internal combustion engine kicks in to carry the i3 beyond its limited battery range. Despite this hedging of their bets, BMW’s board member Ian Robertson predicts greater battery development in the next three to four years than in the previous 100 years. Dr Sadoway doesn’t expect that much even by 2030 without “massive new investment.” He thinks that a $20,000, 125-mile range EV could be successful. As the Detroit News suggests, this battle between battery backers and H2 proponents may leave plug-in hybrids as the current victors in the sales battle. Of course, creative types may turn to generating their own hydrogen. After all, if one can spend $1,000 to install a 240-Volt electrical service to connect a $500 EV charger, why not install a hydrogen system to power the house, fuel the car and possibly the fuel cells for the personal aircraft? Initial costs of around $100,000 may stunt such interests, but we will undoubtedly see those costs go down, just as they have for batteries and charging systems. When such changes at higher levels take place, they inevitably become part of daily life – witness flat screen TVs, personal computers, and even cell phones – once toys for the One Percent, and now commodities for all. Competition will probably sort out the eventual winners, or we will learn to live with multiple choices that could provide better, cleaner technology for our future flights.